The information that is entered in the Tool Consumer Information Settings is information unique to your institution and will be passed through to the integrated service (in this case, Chalk & Wire). 2. 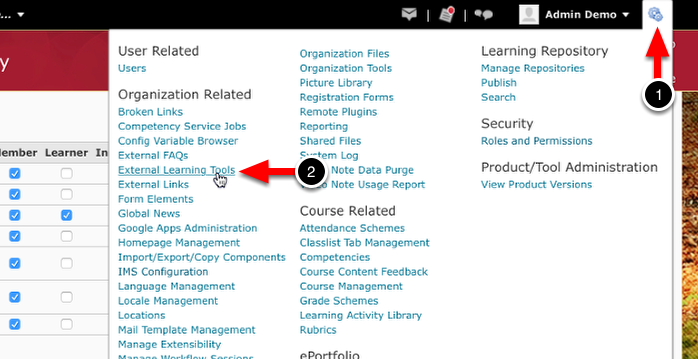 Select External Learning Tools from the resulting drop-down window. 4. Enter the Key. This should be the URL that is used to navigate to your school's Desire 2 Learn site. 5. Enter the Name of your school. 7. Enter a Contact Email address. 8. Select which actions can be allowed.